The playwright and wit Oscar Wilde once wrote, "I can resist anything except temptation." The humor of the remark is mixed with a sad recognition that we fail so often to resist the temptations that come our way each day and from every direction. During Lent, the struggle against temptation and sin is, hopefully, brought into sharp focus. By simplifying our lives and removing distractions, hidden weaknesses are brought to light and sinful habits are recognized for what they are. The liturgy and devotions of the Lenten season prepare help us to acknowledge our failings and our struggles with temptation. Times of prayer and contemplation lead us to ask hard questions. What are the temptations that regularly confront us? Why do we give into them? What can we do to avoid occasions of sin? How must I change my ways in order to grow in holiness?
" This simple phrase has confused some Christians (and non-Christians) and has even proven scandalous to others: Does God really tempt us? Are we actually asking God to not tempt us? Why would our loving Father, who cares for us and desires that we having everlasting communion with Him, bring temptation into our lives? Yes, this is a puzzling and difficult petition. But, as Cardinal Newman once noted, a thousand difficulties do not a doubt make. Part of the difficulty of this little phrase, the Catechism of the Catholic Church points out, is that Greek word for "lead" is not easily translated into one English word. A better translation would be "do not allow us to enter into temptation," or "do not let us yield to temptation" (CCC 2846). In this life, temptation is inevitable, but our prayer is that God will provide the wisdom to recognize it and the strength necessary to resist it when it comes. St. James writes that man who resists temptation is blessed and he will be given the crown of lifethat is, eternal life. And he makes it clear that temptation does not come from God: "Let no one say when he is tempted, I am being tempted by God; for God cannot be tempted by evil, and He Himself does not tempt anyone" (James 1:14-15). But while God does not tempt us in the sense of enticing us to sinful acts, He does subject us to trials and difficulties. He tests us. He allows sickness, loss of reputation, persecution, tragedy, and poverty. Why? The Catechism states it is because "filial trust is testedit proves itselfin tribulation." Those dark and trying moments are when our trust, love, and dependence upon God are strengthened. Its easy to trust and loveor say that we dowhen life is good and we have few worries. But holiness grows in the heat of the desert; righteousness shines brightest in the darkness of night. James encourages his persecuted, first-century readers by telling them, "Consider it all joy, my brethren, when you encounter various trials." Likewise, Paul declares that "we also exult in our tribulations" because they result in perseverance, proven character, and hope, all given by the Holy Spirit because of the love the Father has for His children. The temptations and tests that we experience will either cause us to fall away or draw us closer to God. There is no neutrality. If we give in to temptation, especially on a regular basis, we will become deformed in spirit. Overcoming temptation by Gods grace and our active free will conforms us to the likeness of Jesus. He is our model for resisting temptation and overcoming trials. Jesus overcame temptation and the tempter, in the desert and in the garden, through prayer. "Pray that you may not enter into temptation," He exhorted the disciples. "Keep watching and praying," he tells them, "the spirit is willing, but the flesh is weak." We must be vigilant and always aware of the dangers around usand within us. Foremost is pride, which reveals itself in all sorts of ways: boasting, anger, gossip, and lack of charity. Fasting helps to heighten our awareness of the temptation to commit such sins; our hunger reminds us that mere bread will not keep us alive, but we need the Bread of Life. It helps us see that not all that tastes goodwhether physically, intellectually, or emotionallyleads to life, but can sometimes lead to sin and death. In the face of such dangers, Scripture assures us that our Father will not allow us to be tempted by Satan anymore than we can endure. "No temptation has overtaken you but such as is common to man," Paul writes, "and God is faithful, who will not allow you to be tempted beyond what you are able, but with the temptation will provide the way of escape also, that you may be able to endure it." The story of Job is an example of this truth; it is also a sobering reminder that the righteous do suffer and that those who love God will not necessarily avoid intense pain and suffering. In addition to the daily temptations and trials that beset us, this petition also refers to the final trial, when apostasy and the spirit of anti-Christ will assault followers of Christ with all the intensity that Satan can muster. In the Our Father we pray that the Kingdom of God will come, and we pray that we will be spared from the hour of testing that will precede it. The cosmic struggle between powers and principalities rages around us, even as we silently struggle in our hearts against the temptation to hurt, lust, hate, despise, ignore, and mistreat. Lent reminds usshows usthat those who embrace the Christ embrace His Cross. We are promised a Cross, and it is only with that promise that we have the hope of the resurrection. This "foolishness of God" is not easy to accept; it is a stumbling block to sophisticated, modern tastes. But for Christians, it is a source of hope and comfort. During those moments in the Lenten desert, we cling to the Cross and remind ourselves that "I can do all things through Him who strengthens me." Jesus endured temptation and trial. He was mocked and beaten, stripped and killed. He was tested in every way are we are, "yet without sinning," declares the Epistle to the Hebrews. He resisted everything except love. By Gods grace and for His glory, let us do the same. 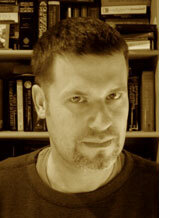 Carl E. Olson is the editor of IgnatiusInsight.com. He is the co-author of The Da Vinci Hoax: Exposing the Errors in The Da Vinci Code and author of Will Catholics Be "Left Behind"? He resides in a top secret location in the Northwest somewhere between Portland, Oregon and Sacramento, California. Visit his personal web site at www.carl-olson.com . 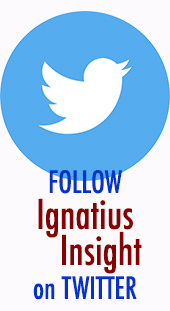 If you'd like to receive the FREE IgnatiusInsight.com e-letter (about every 1 to 2 weeks), which includes regular updates about IgnatiusInsight.com articles, reviews, excerpts, and author appearances, please click here to sign-up today!